Onalaska and La Crosse Area Dentist | Valley Dental | A Complete Family Dentistry and Orthodontic Clinic located in Onalaska Wisconsin. Valley Dental is ready to help, call (608) 781-3999 to get started. At Valley Dental we are thoroughly committed to providing the absolute highest quality dental services possible. We constantly strive to deliver superb dental care in an environment that is caring and friendly. 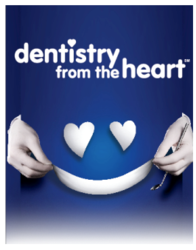 We believe that the staff to patient relationship is paramount for developing and maintaining excellent oral health. Dr. Gavin, Dr. Holly, Dr. Rennegarbe and the dental professionals at Valley Dental aim to do everything to earn patients’ continued trust. The patients’ satisfaction is our greatest concern and we firmly believe that the technical excellent dental care we provide be painless, timely and affordable. It is our intent to make sure that every patient is cared for in a competent and professional manner, on a personal and individual level and with great empathy and compassion. We believe that every patient who walks through the door should receive prompt, courteous service and made to feel welcome and appreciated. Valley Dental offers an uncompromising level of affordable dentistry that is always convenient and focused solely on you. Our goal has always been to provide the most thorough and professional care, as well as improving our patients oral health. The dental team is committed to making the patients’ experience enjoyable in a pleasant atmosphere. We take pride in our work and are always striving to exceed your expectations and give you the best and most effective dental care possible. Staying on top of the latest treatments and procedures, Valley Dental continues to make the dental experience better. I went there this morning grumpy and still tired, but after getting there and meeting the staff, they were all very friendly and put me in a great mood! This place is definitely worth going to. "I've been to several dentists and valley dental is by far the best dentist place I've gone to. They have exceptional people working for them, the dentists, hygienist, orthodontics team and the receptionist actually care about you and your life they remember you everytime, and the stuff you have talked about 6 months prior there very professional yet treat you like you're part of their family. I have probably referred at least 10 people there and everyone loves going to Valley Dental!" "I had such a great experience at Valley Dental. The staff are kind, social, and fun to talk with. I love the TV to watch while getting my teeth done and that they take pictures of any problems and show you right on the tv screen. I would definitely recommend them." "Very happy, I was scared to go to the dentist. But after Valley Dental I am happy to go back. Great people and a great place." "Thank you for a great experience with Dr. Johnson and your Valley Dental team! My husband previously dreaded going to the dentist, and he and I were very impressed with how thorough and seamless our first appointments went here. We highly recommend Valley Dental to our friends and family and look forward to our next appointments!" " From the moment I walked in, I felt comfortable and my wait was no longer than 5 minutes! I LOVED the tour of the office as well as the consistent updates on my teeth as I was taken through my first visit. Even after cleaning, I was taken by Dr. Gavin to consultation and I really got to know him and the history of Valley Dental. Unfortunately, I will be graduating from UWL soon and will probably leave the La Crosse area. However, I can honestly say, I will definitely be traveling whatever the distance to return to your office."